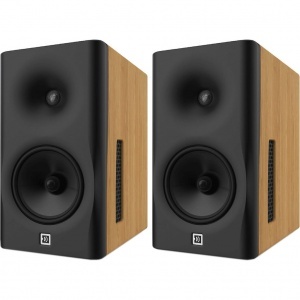 Completely accurate music reproduction requires more than a thoroughly optimized speaker. It requires a speaker that works together with the acoustics of the listening room. The 8c is more than just a loudspeaker. It is a unique acoustic concept, because its revolutionary design provides constant directivity from 100 Hz upwards. As a result, the 8c is above and beyond any other system in terms of neutrality, precision, and in-room tonal balance. The 8c represents their commitment to accuracy and clarity. With its constant directivity from 100Hz upwards and +/-0.5dB frequency response from 35Hz upwards, music can now be experienced exactly as it was intended. Nothing is added, nothing left out.